This image was made using tubes in Paint Shop Pro. All the flower and plant images along the fence were made in Plant Studio. 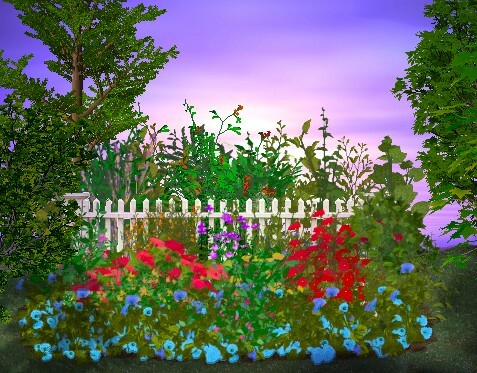 Originally, the image was just the fence with flowers as a demo for all the plant and flower tubes I released at once. I dressed it up with a background, grass and trees for the gallery.